In the battle for perfect skin hyperpigmentation is one of the skin conditions that some of us divas have to face. Hyperpigmentation is the over-production of melanin which causes particular areas of the skin to be darker than the rest. I have had a long battle with this skin condition that I have been determined to win because who doesn’t want more even skin tone. 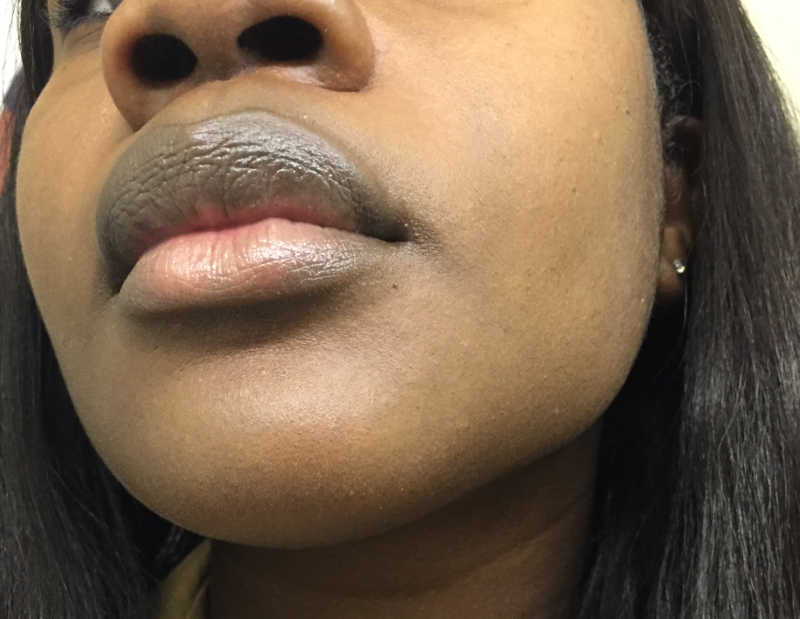 I have noticed that other dark skinned divas, like myself, that suffer from hyperpigmentation are usually affected on the lower half of the face, especially around the mouth. As you can see from my pictures below, my hyperpigmentation is located around my mouth and jaw area. This is a little frustrating because when I apply makeup to this area it does not cover well, no matter the coverage, I still feel like I can see the dark cast around my mouth. At one point I was able to even out my skin by using certain skincare items and adopting some new healthy habits. Unfortunately, I stopped following the regiment and then the hyperpigmentation came back like my worst #tbt nightmare!! After viewing many selfies like the ones above I decided it was time for me to bring my skin back to life. So, divas, I will be sharing 5 game-changing tips that really work to fight hyperpigmentation. I’m pretty sure DJ Khaled would agree that they don’t want you to have nice skin but guess what?? We want nice skin, so we need to exfoliate. Exfoliating is a major *insert key emoji* key to success aka flawless skin. When you are exfoliating you are removing dead skin and this will leave your skin looking and feeling healthy. 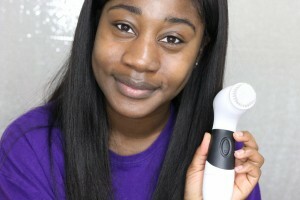 There are many ways you can exfoliate, I like to use this Vanity Planet Facial Brush. Although exfoliating is great it can cause some serious damage if overdone so make sure you’re not over doing it — once or twice a week is fine. There’s a myth that people who have dark skin don’t need to wear sunscreen– that’s a lie! Sun damage does not discriminate, so you should definitely incorporate a moisturizer with sunscreen into your daily routine.Wearing sunscreen will protect you from the sun and help to prevent hyperpigmentation (or help it not get worse). I used to hate putting sunscreen on my face because it always made me look ashy, which is obviously not cute! 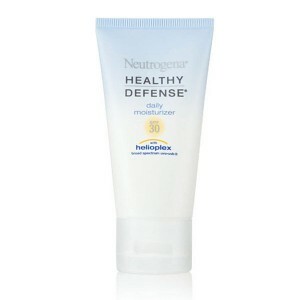 So I avoided wearing it until I found Neutrogena Healthy Defense Moisturizer. This does not leave a grey/white cast on the face so you should definitely pick this one up. Drinking more water can make your skin look a lot better! 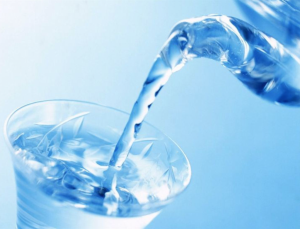 Drinking more water will diminish the look of dull and tired looking skin, so fill those glasses up! I know that a lot of people would prefer to drink soda over water and that making sure you’re getting enough water can be difficult. I struggled with the same issue and what helped me was a little challenge I gave myself which was making sure to carry a bottle of water in my handbag and while I was at work every time I had to step into the backroom, I drank a cup of water. This has definitely helped me so I would recommend figuring out fun ways to make drinking more water easier. There are many skin care products on the market that will help to fade dark spots and give you a more even complexion. 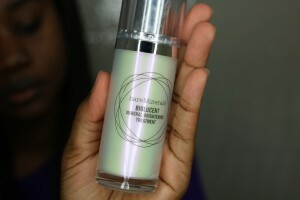 Bare Minerals BioLucent is a product I tried that helped to clear up my hyperpigmentation. It is a great product because it is all-natural with no harsh chemicals. This product will last because I found that one pump was enough for my whole face which is great because it is on the pricey side. This is good because you will get your money’s worth. Another product I recommend is Ambi Fade Cream. This product is not as costly and works well too. The key to seeing results of course is consistency and also to make sure to do your research before using any of these products. A dermatologist will be able to assess your unique skin concerns and give you exactly what you need, especially if you’re looking for something that will work faster. 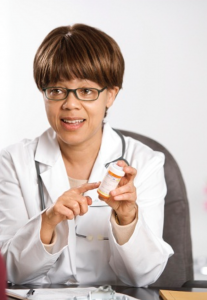 A derm can prescribe you a specific medication if you want to try Rx solutions. I hope these tips are helpful to you! Comment below if you have ever tried anything for hyperpigmentation and want to recommend products to me and other divas!